YOUR EQUIPMENT SHOULD BE TOO! Whether you are a Liquidating a Full Factory or a Small Lab All of Our Sales Are Online! Old or New We Know Agricultural and Commercial Equipment! From Estate Sales to Auction Liquidations we can market and sell your items in a timely manner. We have a vast knowledge of high-tech industries including Biopharmaceutical R&D and Manufacturing, Solar Panel Manufacturing, Test and Measurement, and SMT. We also have knowledge in Printing Facilities, Plastics Molding Facilities, Metal Working Industries, and More! Whether Moving, Consolidating Multiple Homes, Downsizing, or Handling an Estate we offer services including Auction and/or Private Treaty Liquidation of Personal Property and Real Estate. If you have Commercial Equipment such as Fleet Vehicles, Construction Equipment, Restaurant Equipment, Retail Fixtures or Contents , Warehouse Equipment or Commercial Property that needs to be liquidated let us broadcast it to our buyers worldwide via Auction and/or targeted Private Treaty sales. We offer a variety of different services as well as work with many other Auctioneers and Appraisers. Some of our other services include: Benefit Auctions, Consulting, Auction Preparation, and Second Auctioneer Services. 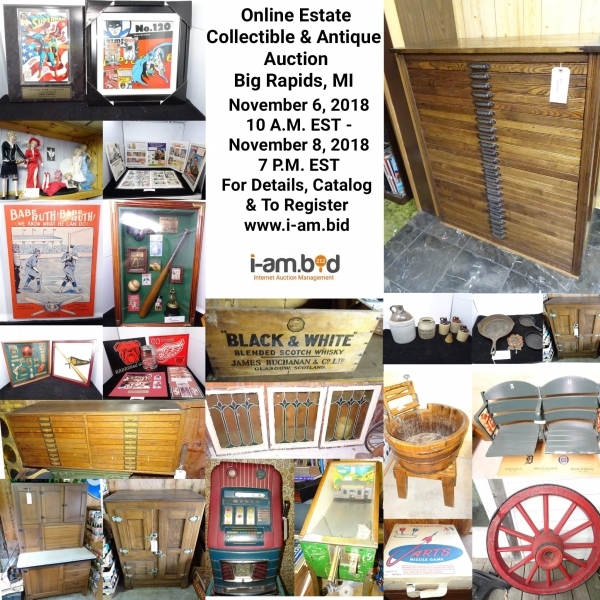 i-am.bid was founded, as a subsidiary of Hardwick Ware Management Inc., to bring affordable internet based auction solutions to people who know the internet is far reaching but do not know how it can benefit them. With 20+ years experience with asset disposition, as well as 13+ years selling industrial assets at auction, we can provide solutions to successfully market and liquidate any asset you have from complete factories to personal property.